A delicate semi abstract painting of a lovely woman with violet eyes. 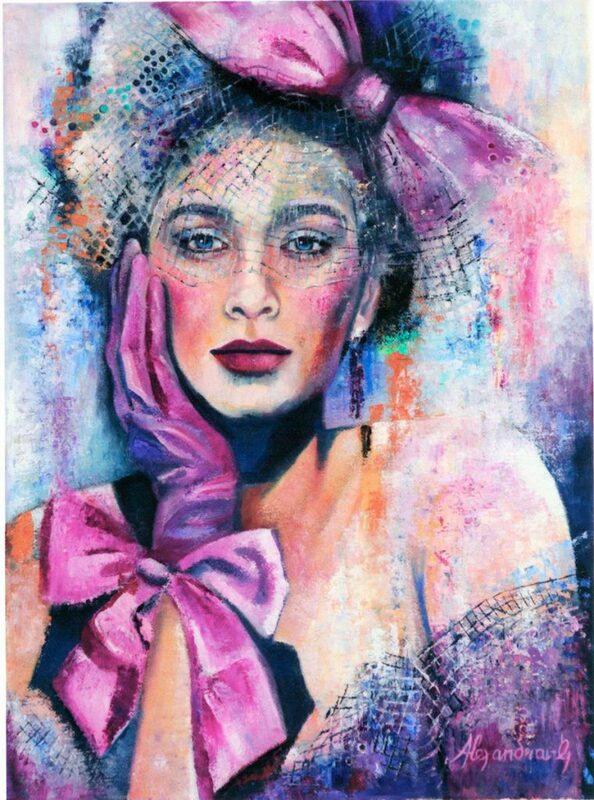 Her hair adorned by net and a large pink bow, while a pink gloved hand supports her chin, emphasizing her beautiful full lips. The use of colour – magenta, turquoise, orange, blue and violet, together make a stunning composition.